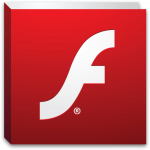 Adobe Flash was the harbinger of how netizens browsed the net earlier. Back at the start of this millennium, Flash was used to play videos, music, other interactive elements of web pages and games. For more than a decade, Flash Professional was the last word in web-based animation production. But Flash was flawed because it hasn’t changed with the advancing flow of technology. Though Flash played a pivotal role in the earlier days of the internet, its relevance is quickly becoming outdated. Its non-existent presence on the mobile phones has become a death blow to this tool. Adobe even rebranded Adobe Flash Professional to Adobe Animate CC, to catch up with the ‘”web and beyond”. But this initiative is not enough to change its present or future. Flash professional is still being used in display ads. But it is not competent enough to be incorporated with HTML5 or WebGL support. With all the power vested on Google to announce the verdict, Adobe Flash is sentenced to immediate termination. As Google is all geared up with HTML5, You Tube’s default video player, there is not a streak of hope left for Flash Professional. We have a special team of online marketing veterans to stay ahead of the trends in the industry. They will help you to strategically plan your online advertisements in way that will capture the attention of your target audience. Make your online presence strong. Talk to us today.